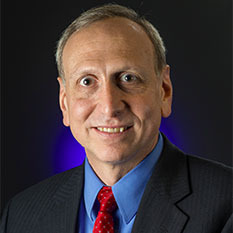 Mr. Stephen Jurczyk serves as Associate Administrator of the Space Technology Mission Directorate. As Associate Administrator, he manages and executes the Space Technology programs, focusing on infusion into the agency's exploration and science mission needs, proving the capabilities needed by the greater aerospace community, and developing the nation's innovation economy. Prior to this appointment, Mr. Jurczyk served as the Director at NASA’s Langley Research Center in Hampton, Va. Langley, founded in 1917, is the nation’s first civilian aeronautical research facility and NASA’s oldest field center. Jurczyk was appointed Director in 2014 and oversaw research on solving such problems as global climate change, access to space, air travel, and future aviation vehicles. As the senior management official at Langley, Jurczyk was responsible for the technical implementation of the center’s aeronautical, space and science programs, as well as the overall management of the facilities valued at more than $3.3 billion and a workforce of over 3,600 engineers and scientists. Jurczyk has spent most of his 25-year career in aerospace with NASA in various systems engineering, management, and senior leadership positions at NASA Headquarters, Langley, and NASA’s Goddard Space Flight Center. He contributed to the development of several space-based remote sensing systems supporting earth science research including the Upper Atmosphere Research Satellite, Landsat 7, and the Clouds and Aerosol Lidar and Infrared Pathfinder Observations mission. As Director of Systems Engineering and later Director for Research and Technology at Langley, he led the organization’s engineering contributions to many successful flight projects including the Mach 7 and 10 flights of the Hyper-X jet engine powered vehicle, the Shuttle Program return-to-flight, the successful flight test of the Ares 1-X vehicle, and flight test of the Orion Launch Abort System. 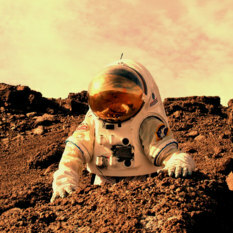 He is a recipient of the NASA Outstanding Leadership Medal and the Presidential Rank Award of Meritorious Executive. Jurczyk is a graduate of the University of Virginia where he received a Bachelor of Science and a Master of Science in Electrical Engineering. He currently lives in Williamsburg, Va. with his wife and two daughters. He is an elder in the Williamsburg Presbyterian Church where he is active in mission and youth activities, and enjoys running and cycling.